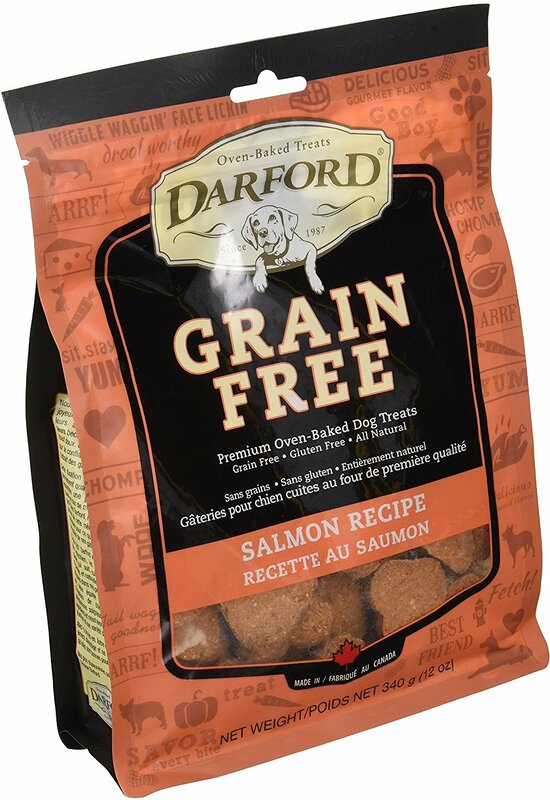 The Darford Baked Salmon Recipe with Mixed Vegetables Grain-Free Mini Dog Treats proves that grain-free doesn’t have to mean flavor-free! 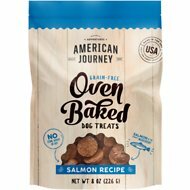 Featuring real salmon as the number one ingredient, these treats are also packed with all kinds of superfoods, like blueberries, cranberries and organic carrots. This makes these tasty treats rich in antioxidants and vitamins, without all corn and soy that you want your pup to avoid. And since they’re always oven-baked with care, the result is a crunchy texture loaded with mouthwatering flavor! 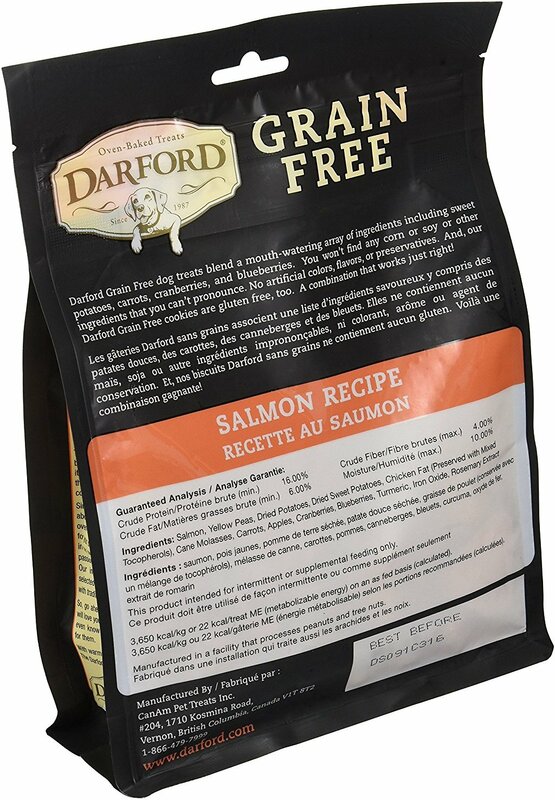 All Darford dog treats are specially made in Canada with thoughtful ingredients for your loving canine companion! 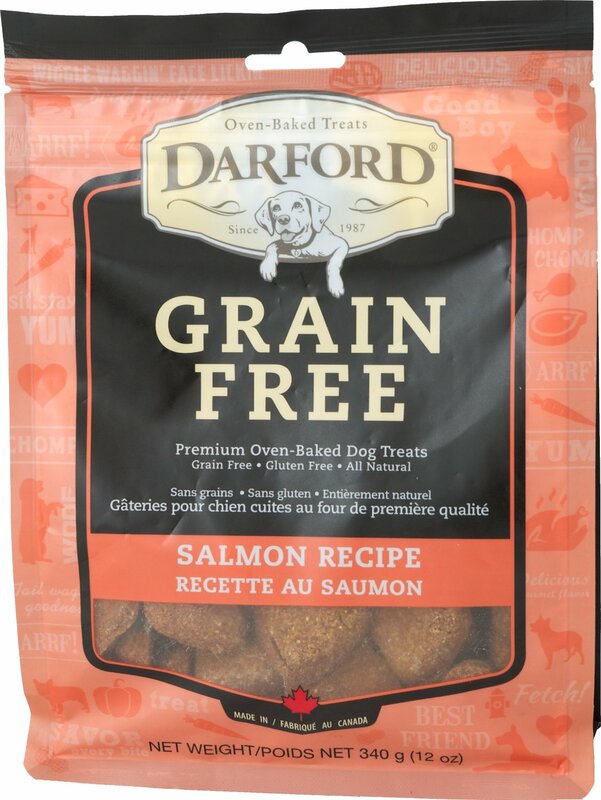 Grain and gluten-free premium treats are made with 100% natural ingredients and has real salmon listed as the first ingredient. Small heart-shaped treats are the perfect size for dogs of all breeds, ages and sizes. 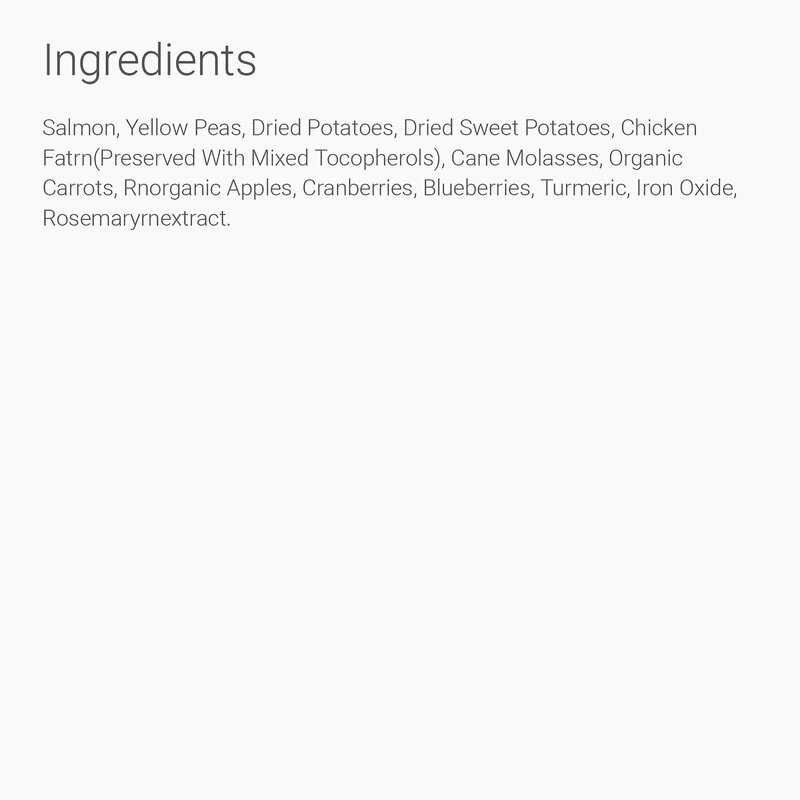 Salmon, Yellow Peas, Dried Potatoes, Dried Sweet Potatoes, Chicken Fat (preserved with mixed tocopherols), Cane Molasses, Organic Carrots, Organic Apples, Cranberries, Blueberries, Turmeric, Iron Oxide, Rosemary Extract. I trust the kibble and treats made in Canada, because they have higher standards of safety, quality, and dependability. Darford is a GREAT treat!This has been my kiddogs favorite cookie since she was born 10 years ago! I trust Darford so much! 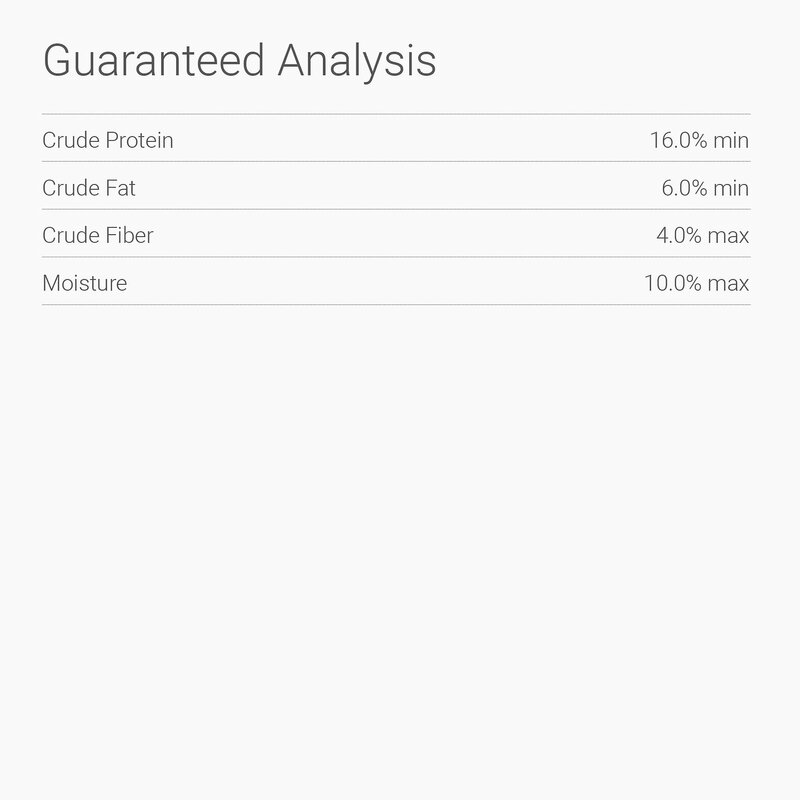 My Wheaton/poodle mix is allergic to lots of things. These treats are great for her...no grain! She loves them! Light, crispy and delicious, so says Nadine. She says "buy them again!" I thought these would be the same size as the cheddar cheese Darford treats but they're much bigger and harder so I had to cut them up which is a pain. Otherwise they liked them just fine and I liked the ingredients. I think my dogs would do most anything to get one of these treats, they love them so much! The ingredients are good and the size is nice, also. My dogs are 60-90 pounds, and the inch + size of these give them enough for 6 or 7 crunchy chews. 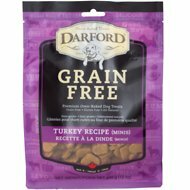 My dog loves these grain free snacks, all flavors. I think he is spoiled now, as he will not eat any other types of snacks, even those at the veterinarian clinics! Great holistic, grain free treats! I recently moved from the NW to So Utah. 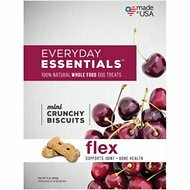 My pet food store sold these treats and my dog loved them, and I love that they are 'healthy'. I am unable to find them where I live now, so Chewy sells them at a reasonable price.